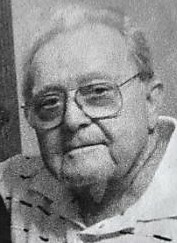 Joseph John Malfara, 81, of Montmorenci Road, Ridgway, PA, died peacefully surrounded by family and loved ones, Sunday, January 27, 2019 after a lengthy illness. He was born on January 12, 1938 in Ridgway, PA. He was the last surviving child of the late Frank L. and Marie (Tomko) Malfara. 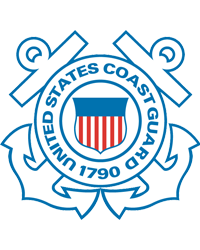 A graduate of Johnsonburg Area High School Class of 1955, Joe served in the Coast Guard from 1957 – 1963 and immediately entered the Central Intelligence Agency where he served 32 years until retiring in 1990. Throughout his service as a CIA Agent Joe was highly decorated for his effective performance under conditions of hazard and hardship. He served 6 Tours of Duty serving in Indonesia and its surrounding Islands; Quito, Ecuador and Asia. Joe was a faithful and loyal serviceman measuring up to the high ideals and traditions of the Federal Service. Joe married the love of his life, Sandra (Peters) on June 21, 1993 in Hawaii. She survives along with her children: Justine (Rick Leitzel) Paget of Myrtle Beach, SC, Stephanie Piccirillo of Johnsonburg, Leslie (Brian) Paget-Zilcosky of Johnsonburg, Danielle Taylor of Maddison, MS and Shana Samsel of Ridgway; thirteen grandchildren: Colby (Miki Quattrone) Pisani, Garet Pisani, Morgan (Josh Hubbell) Pisani and Drew (Caitlyn Viglione) Baumgratz; Judd (Jesi) Zilcosky, Zebb (Mackenzie Neureiter); Dale (Hope) Piccirillo, Heather (Nick) Collins and Sharissa (Tylor Dillaman) Paget; Katelynn Rey; Isabella (Andy Wolff), Saylor Papa and Norah Papa; and nine great-grandchildren. Being married later in life, Joe loved Sandy’s family and always treated them as his own. Besides his parents, Joe was predeceased by: two brothers, Francis and Ronald Malfara; and a grandson, Tyler Rey. Joe was a member of the Holy Rosary Church and enjoyed patronizing many local clubs, including: the Piedmonte, Ridgway Legion, VFW and Moose among others. He was an avid Pitt and Steeler football fan and a wonderful grandfather. The family will be receiving friends from 5 – 8 p.m., Friday, February 8, 2019 at the Ubel Funeral Home of Johnsonburg, PA.
Mass of Christian Burial will be held, 10:00 a.m., Saturday, February 9, 2019 at the Holy Rosary Catholic Church of Johnsonburg, PA, with Father David Wilson. Military Honors will be accorded by the Johnsonburg/Ridgway Servicemen Detail on Saturday at 9:30 a.m. Military member are asked to assemble at the funeral home at 9:15 a.m.
Burial will take place in the Church Cemetery. The family suggests memorials to the Penn Highlands Community Nurses-Hospice or the Elk County Humane Society and will be accepting online condolences at www.nedzafamilyfuneralhomes.com.